Playa West Automotive is owned and operated by Andy Marozik. Andy has been in this industry for over 30 years and has been an ASE Certified Master Technician for the last 25 years. Playa West Automotive has sponsored many of the local baseball, softball, soccer teams and local schools. They believe strongly in the support of their local community. 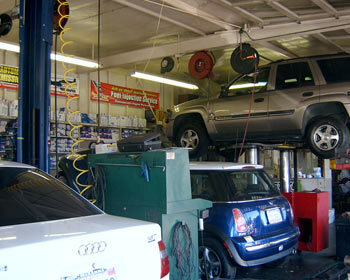 Playa West Automotive is proud to have won the “Heart of the Community” Award in 2007. Playa West Automotive was awarded as South Bays “BEST AUTO REPAIR SHOP” 2 years in a row by the readers of the Arogonaut, 2013 and 2014. Playa West Automotive is proud to have been rewarded “BEST AUTO SHOP” by the readers of the Home Town News for two years in a row, 2013 and 2014. At Playa West Automotive, we pride ourselves with our state of the art technology and our crew of trained mechanic technicians.